North City Family Fitness is a leisure facilty operated by the UK’s largest provider of public leisure, GLL. 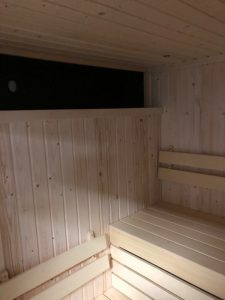 They called in mr sauna recently, as their sauna had reached the end of its useful days, having installed when the centre was built some fourteen years ago. Popular with the members and very well used, it had become a less than pleasant experience, and in some areas was close to becoming a danger to users. 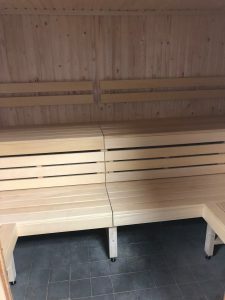 Having visited site and discussed options with the centre manager, mr sauna’s Gerard McCarthy suggested a refurbishment rather than a completely new sauna, which would save money for the operator while still providing members with a “new” sauna. The centre also wanted to replace the existing sauna heater with a hidden heater to improve user safety. 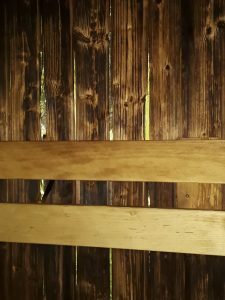 The old sauna wall timbers were becoming dangerously cracked and heat damaged, as were the bench seats. The refurbishment was completed in a couple of days. New wall panels and ceiling. 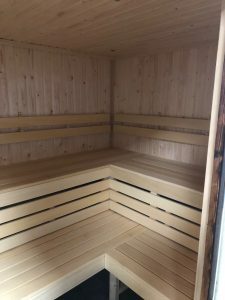 Gerard McCarthy of mr sauna Ltd says “In some cases, the actual sub structure of the existing sauna may be in reasonable condition, with only the internal elements of the sauna needing attention. 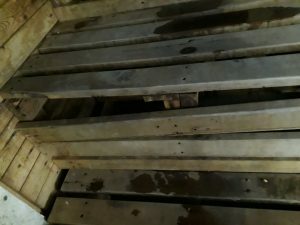 In this instance we were able to give the sauna a completely “new” look whilst saving the centre at least a couple of thousand pounds”.